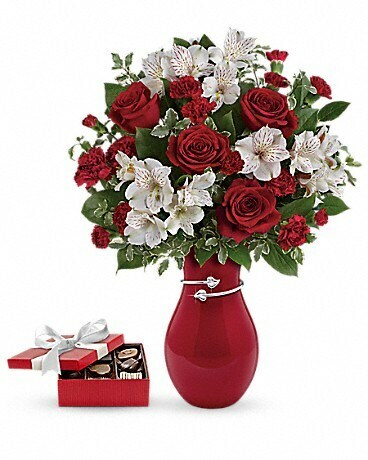 This sweet gift set includes a delicious box of chocolates paired with a stunning bouquet. 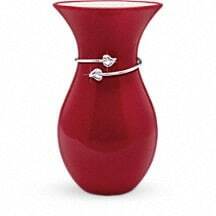 Two hearts that beat as one! 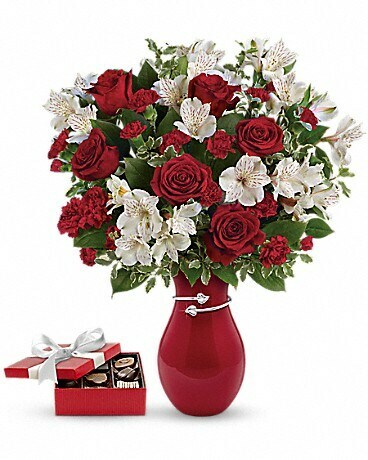 A romantic tribute to your love, this Valentine's Day surprise is one that she'll never forget. 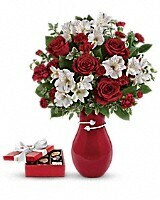 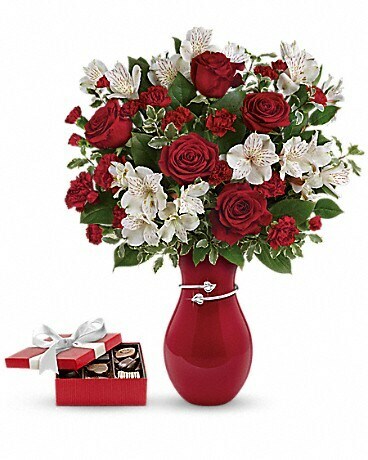 Passionate red roses and delicate white alstroemeria look oh-so-lovely in this stunning, hand-glazed vase with a shimmering metallic hearts band and delivered with a box of chocolates.